Solving problems in the printing and packaging industry. PiCSYS is an management information system (MIS) made specifically for the printing & packaging, seal & label, and POP display industries. With over 50 companies and counting, using PiCSYS to raise your production efficiency is the trend in the packaging industry. Thanks to the ability to load native Artios CAD data, this system is like no other in the industry. PiCSYS is a partner solution with On Oracle. PiCSYS is a partner solution of On Oracle. 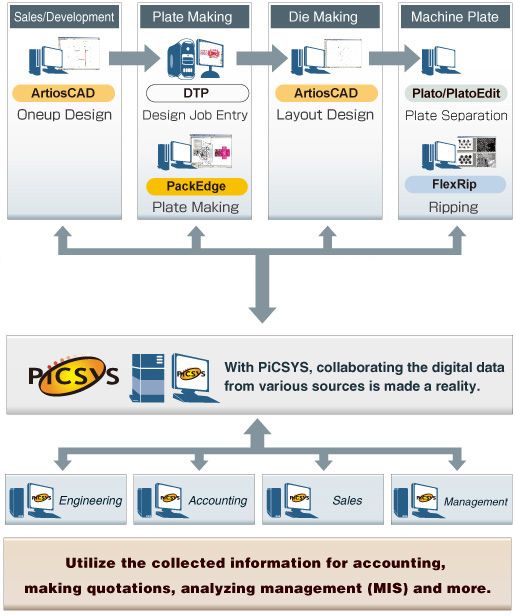 PiCSYS, contains cutting-edge data management technology by using the world-renowned database engine Oracle. PiCSYS is fully accredited by Oracle though the Solution Partner agreement. registered as an accredited On Oracle member. 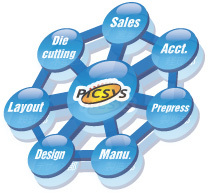 For questions regarding the package manufacturing management program PiCSYS, please do not hesitate to email us.